Our 12-week private Radiance course brings the possibility of sustained transformation to your life. We meet with you one-on-one and design a custom program to help you to break through any and all barriers between you and the experience of extraordinary fulfillment in your relationships, purposeful work, a vital healthy body, and an alert, reflective and flexible mind. When these aspects of your life are in balance, you are ultimately living in and as the rapture of being alive, feeling Freedom, Clarity and the ability to thrive in all domains of your life. This private yoga and coaching education program will help you connect with a deep source of limitless power, so you can break through limiting beliefs and habits, nurture passion, and move steadily in the direction of your life’s purpose. 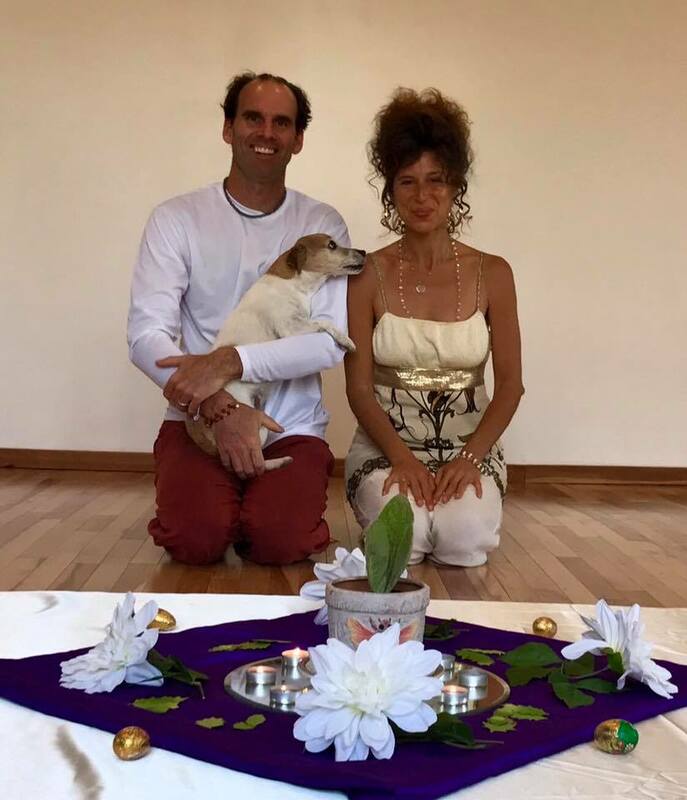 This is our high-end program, and the only program where Yoga Farm Directors Christopher and Daniela work with you one-on-one to bring skillful implementation of tools from multiple modalities into a program that fits you perfectly, in privacy and exclusivity. It is an investment both in your time, attention, and finances. What you receive from full participation in this program is you truly living the life of your dreams. In our 12-week program, we work with you once or twice weekly, either in person at Yoga Farm, or via Facetime, Skype or phone. Throughout the program, email and 24/7 text support are yours, so that we are able to help guide you through challenges in real-time by utilizing the tools you have learned with us in the curriculum of your life. Each program is customized to fit your needs, and tuition is based on how many times each week we meet. Due to this reason, we offer a free initial session so we can get to know you and your needs and wants. This program is directly taught by Yoga Farm Directors Christopher and Daniela. Space is extremely limited, and only a few students at a time are accepted into this program. Daniela & Christopher, Radiance Course Educators are your guides to bridge the shores of your inner and outer worlds. We help you with coaching and education focused on helping you realize and live their highest potential. It is predicated on the belief that You have a unique purpose and You, living that purpose brings the greatest joy to your life and the world. 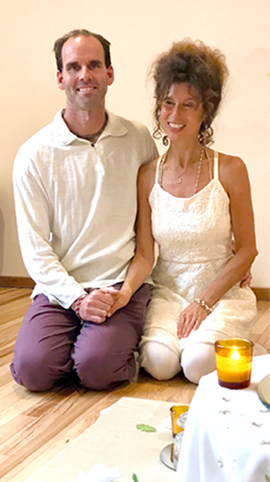 "I have studied with Daniela for approximately two years and have found her to be a truly gifted, insightful, and profoundly sensitive spiritual teacher. She combines her wealth of spiritual background and knowledge with incredible insights and effortlessly weaves them into each class." “I owe Daniela endless gratitude; her coaching lies at the core of why I am at peace with myself and living a happy, fulfilled life. She provided insight and guidance during a treacherous time in my life, not only bringing me out of a troubling situation, but grounding me as a person and profoundly changing how I live and view the world. “Christopher is a wonderful, patient, knowledgeable, and nurturing teacher, with a great sense of humor and play. The classes that I’ve been a part of have been flexible in meeting each participant’s needs, often focusing on a particular movement to help one with a particular need." "Christopher, you are a distinctly gifted teacher... You were able to let me be with my tears, with no need to run for Kleenex and the belief of, “oh here, tissues, let’s clean up that mess!” You just let me be where I was, silently, so I could move deeper into it, through it." This program can start anytime! An application process and in-person interview are required. This program has limited enrollment and currently only 2 seats are available. Contact us to schedule a complementary consultation to see if this program is a match for you. After our complementary consultation we will provide you with a written proposal for sessions, costs, outcomes and processes we recommend for you.